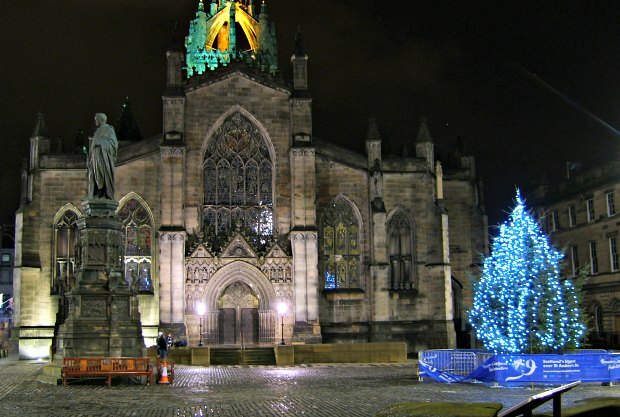 St Giles Cathedral is one of the most significant buildings along the Royal Mile in Edinburgh. 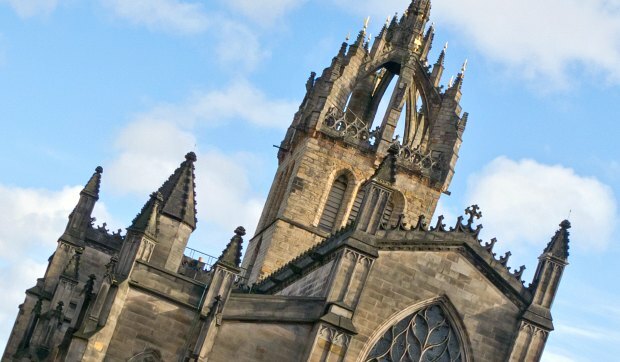 It’s the Church of Scotland’s most important place of worship and is also known as the ‘High Kirk’ of Edinburgh. From outside, the most striking feature is the unusual “crown” shaped spire. 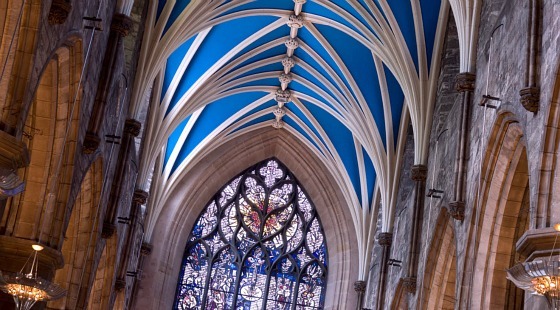 Inside, you’ll find the Thistle Chapel, attractive stained glass and an impressive blue ceiling. The Cathedral has a cafe which is situated below the main building. The atmosphere is lovely and the food is decent too. The Cathedral also has a shop, but bear in mind that this is not open on Sundays. The inside of the cathedral is beautiful, but if you wish to take photos or video inside the cathedral you will need to buy a photo permit from the information desk for a few pounds. St Giles Cathedral is open daily in the summer, Monday to Friday from 9am to 7pm, Saturday 9am to5pm, Sunday 1pm to 5pm and for services. In the winter it is open Monday to Saturday from 9am to 5pm, Sunday 1pm to 5pm and for services. St Giles’ is a working church and access may be restricted without notice. A short worship service takes place from 12pm to 12.10pm Monday to Saturday, during which visitors are asked to be silent.